Welcome to Team-Bedding.com - your 1 stop shop for team logo blankets, pillows, comforters, and bedding accessories for your favorite sports teams! We are the low price leader in NFL comforters, and NCAA team blankets. Check out our HUGE selection of pillows and blankets for your favorite Baseball, Football, or Hockey team ~ College or Pro. Don't forget NASCAR too, we carry a large selection of NASCAR Bedding accessories for your favorite driver! 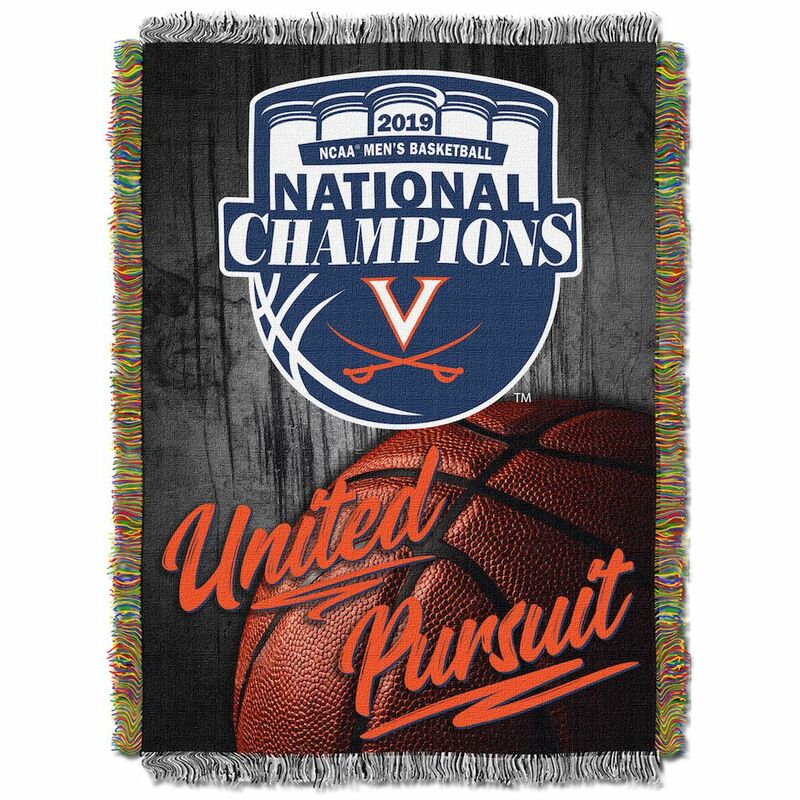 Celebrate the 2018-19 Virginia Cavaliers and their remarkable victory in the March Madness tournament with our LIMITED EDITION Virginia Cavaliers NCAA Basketball Champs Collectible Throw! 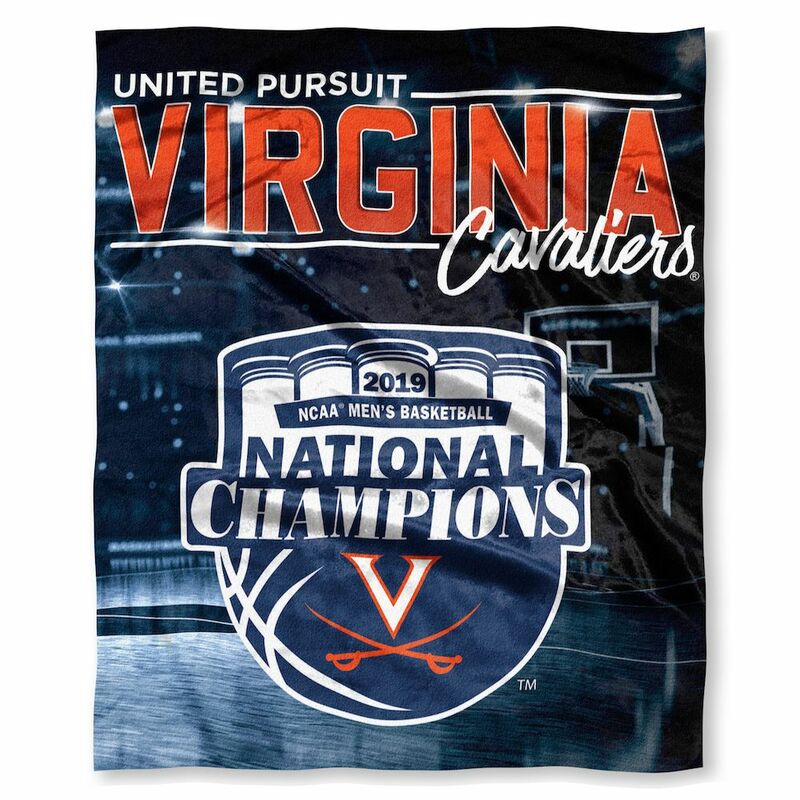 The 2018-19 college hoops season was one to remember, and the 2019 Final Four was possibly the best championships ever, and now those memories can live on forever for Cavaliers fans with this special collectors item Commemorative Throw Blanket! Beautifully woven with extreme attention to detail, this handsome 2019 College Basketball National Champions tapestry blanket is a MUST HAVE for any True Cavs Fan! Go Hoos!